Oni Denim is ready to be done with the cold season with the warmer months right around the corner. They trade in heavy and stiff denim for their Selvedge Denim Relaxed Tapered Trousers. 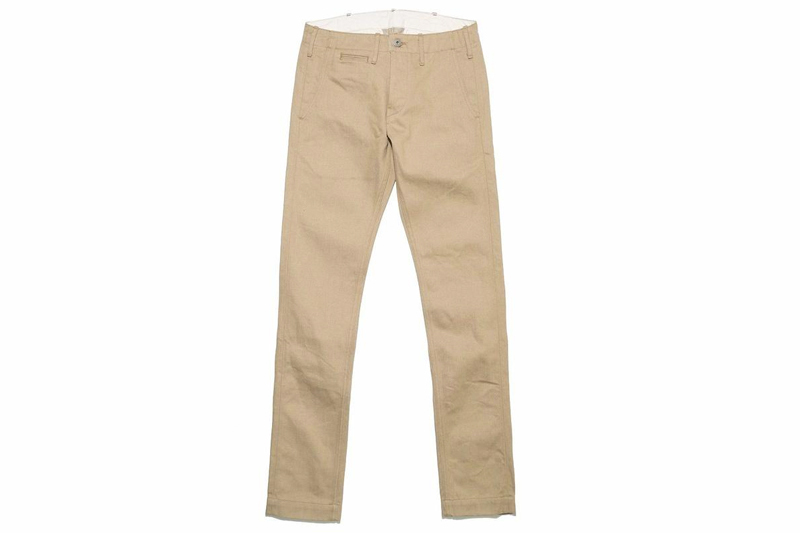 Made from 11.9 oz selvedge denim, the trousers come in khaki and steel tack buttons. Perfect for pairing with a t-shirt or oxford shirt, get these trousers by clicking here.